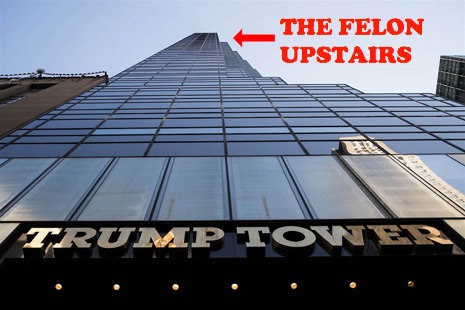 MARCH 22--A longtime resident of Trump Tower whose contacts include Russian oligarchs and underworld figures has returned to the upper reaches of the Fifth Avenue tower, where his ostentatious aerie boasts finishes like 24k gold faucets, alabaster stone walls crafted by Portugese artisans, and a $350,000 bathroom floor made of amethyst imported from Tanzania. No, Donald Trump is not back in Manhattan. After nearly three years in federal custody, a racketeer who was convicted of running an international gambling and money laundering ring in partnership with a notorious Moscow crimelord is now living under house arrest on the 63rd floor of Trump Tower, three floors down from Trump’s penthouse, which is still home to First Lady Melania Trump and the couple’s 11-year-old son. Vadim Trincher, 56, pleaded guilty in 2013 to running what a federal prosecutor called “one of the biggest bookmaking operations in the world,” an international racketeering enterpise that, beginning in 2006, laundered a total of approximately $100 million in gambling proceeds. Of that amount, $50 million was transferred into the U.S., often through a series of shell corporations in Cyprus that would issue phony loan agreements. Trincher, who emigrated to the U.S. from Kiev in 1989, directed bookies in Moscow and Ukraine and dealt directly with the gambling ring’s biggest clients, several of whom were Russian oligarchs. Trincher operated from his Trump Tower home, a 3073-square-foot corner apartment with sweeping views south towards St. Patrick’s Cathedral and Rockefeller Center. 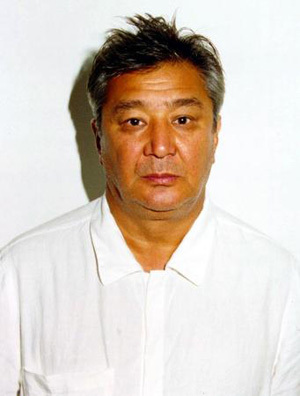 During the course of the investigation that resulted in charges against Trincher, two of his sons, Tokhtakhounov (seen at left), and 30 other defendants, FBI agents received court authorization to monitor Trincher’s cell phone for several months. Despite a recent ABC report, agents did not seek permission to bug Trincher’s Trump Tower residence or wiretap any landline inside that apartment. While eavesdropping on Trincher, agents discovered the massive amounts being bet by the gambling ring’s clients. During an April 2012 conversation, Trincher and an associate discussed how one man owed $2.3 million, while a Monaco resident was four months behind on a $500,000 debt. Investigators also learned that Trincher’s clientele included numerous billionaires, including Moscow real estate titan Roman Manashirov and Igor Surkis, owner of Dynamo Kiev, Ukraine’s biggest soccer team. Trincher, a high-stakes poker player who is a dual citizen of the U.S. and Israel, was recorded in February 2012 telling a friend in Kiev about how he had paid $10,000 to participate the previous evening in a 100-player celebrity poker tournament benefitting the William J. Clinton Foundation. Trincher recalled that he and his wife posed for a photo with the 42nd president, and added that he also saw Chelsea Clinton and Ivanka Trump at the event (which was held in a Manhattan restaurant). Clinton Foundation financial records--which report donations in a range--show that Trincher gave the group between $5000 and $10,000 in 2012. Ivanka Trump is listed as giving the organization between $5000 and $10,000 that same year. Trincher explained to his Ukrainian friend that he was invited to play in the charity tournament since his eldest son, Illya, was a friend of financier (and poker enthusiast) Marc Lasry, who helped set up the Clinton event. Lasry, a major Democratic donor, was a regular at big-dollar poker games organized by Illya Trincher, who, like his father, pleaded guilty in the federal case. Trincher’s condo was one of several prime Trump Tower units that Trump himself purchased upon the building’s completion in 1983. The investment units, which Trump had rented out, eventually began hitting the market when the developer’s financial prospects waned in the early-1990s. According to deed records, Trump personally sold Apartment 63A-B in March 1994 to a company controlled by Oleg Boiko, one of Russia’s richest financiers. Boiko, an early backer of Boris Yeltsin, the Russian Federation’s first president, is one of Russia’s original oligarchs, the small group of businessmen who became fabulously wealthy after being allowed to privatize some of the country’s industrial assets. In May 2009, Boiko sold the apartment to Trincher and his wife Elena for $5 million cash. At the time of the transaction, the Trinchers listed their address as a 45th floor apartment in Trump Tower (the deed to which was in the name of a Russian woman). An FBI analysis of the 2009 purchase of Apartment 63A-B revealed that funds used to buy the residence had been moved through Trincher’s shell accounts in Cyprus. Like other Trump Tower owners, Trincher pays monthly maintenance fees to a Trump firm that manages the condominium. While prosecutors contended that Trincher paid for his Trump Tower abode with proceeds from a racketeering enterprise, the residence was not among the assets that Trincher forfeited as part of his felony plea deal with the government. According to court records, Trincher and his son Illya surrendered a total of more than $30 million in cash and other valuables. The elder Trincher, investigators allege, kept accounts in the names of his wife, children, and girlfriend, and likely had other substantial assets and business interests in the U.S., Israel, and the former Soviet Union. Trincher spent most of his time in custody at the low security federal lockup in Allenwood, Pennsylvania. He was released in January to a halfway house in Brooklyn, where he spent six weeks before being transferred to “home confinement,” according to a Bureau of Prisons spokesperson. Trincher’s official BoP “release date” is July 8, after which time he will begin serving his probation term. As part of his supervised release, Trincher will be subject to unannounced searches of his apartment by a probation officer (who will first have to navigate the curbside Secret Service cordon). By all accounts, the Trincher apartment rivals the Trump triplex when its comes to extravagant décor. Following a leak from an upstairs apartment (not Trump’s), the Trinchers filed an October 2012 lawsuit claiming that water had irreparably damaged custom designed wall panels that would cost in excess of $5 million to replace. A rare silk rug worth $150,000 was also ruined, the Trinchers said. Damage to the condo, the couple added, forced them to cancel a fundraiser they had planned for Newt Gingrich, then a Republican presidential candidate (the Trinchers had previously donated money to the Republican National Committee, the National Republican Senatorial Committee, George W. Bush, John McCain, and Lindsey Graham). 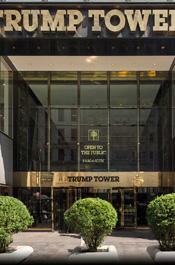 Trincher, who shared a dormitory bathroom with other Allenwood inmates, was likely overjoyed to return last month to his Fifth Avenue powder rooms, which have been featured on the Travel Channel show “Extreme Bathrooms.” The TV program offered viewers a look at the sumptous bathrooms of a Trump Tower apartment, but did not identify the residence’s owners. The floor in one of the Trincher bathrooms is made of solid amethyst imported from Tanzania. At $350,000, “This floor alone costs more than most people’s homes,” declared Kenneth Bordewick, the couple’s bathroom designer. The walls in a second bathroom are made of alabaster stone that was purchased in Russia and then shipped to Portugal where it was carved into panels by craftsmen (total cost: $2 million). The bathroom also has a custom tub for three, an “intuitive toilet,” and a $10,000+ faucet with 24k gold overlay (seen above). Bordewick assured viewers that the condo’s mystery owner had swankier bathrooms than the billionaire upstairs. Trincher’s wife posted the “Extreme Bathrooms” video to her Facebook page in late-2011, 18 months before federal agents came banging at her family’s door. But by the time she sat down to write a letter in February 2014 to the judge preparing to sentence her husband for racketeeering conspiracy, Elena Trincher opted for a more muted picture of life inside Trump Tower. “We live a simple lifestyle,” she assured the judge. The deed to the Tricher residence was transferred last year to a holding company for which Elena is listed as a member. Over the following months, the company, Trin Holdings, took out a pair of mortgages totaling $3 million. The lender, property records show, was Avegyo Invest Ltd, a firm in Larnaca, Cyprus.